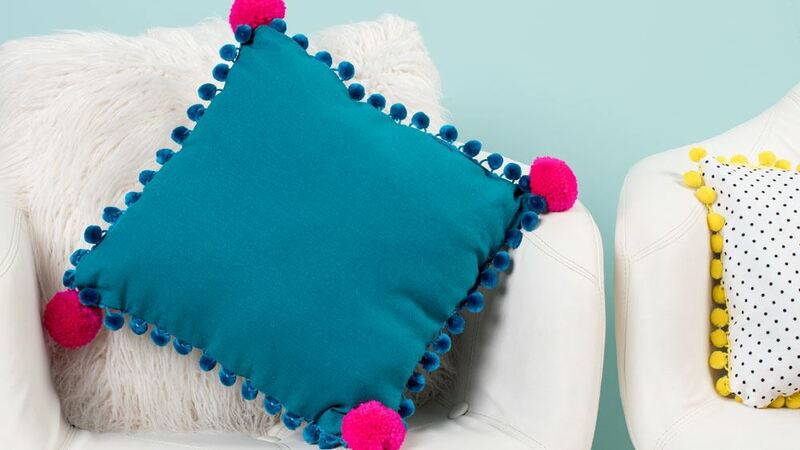 If you’re looking to add some fun and color to your home décor then look no further because we’ve got Pom-pom Pillows! 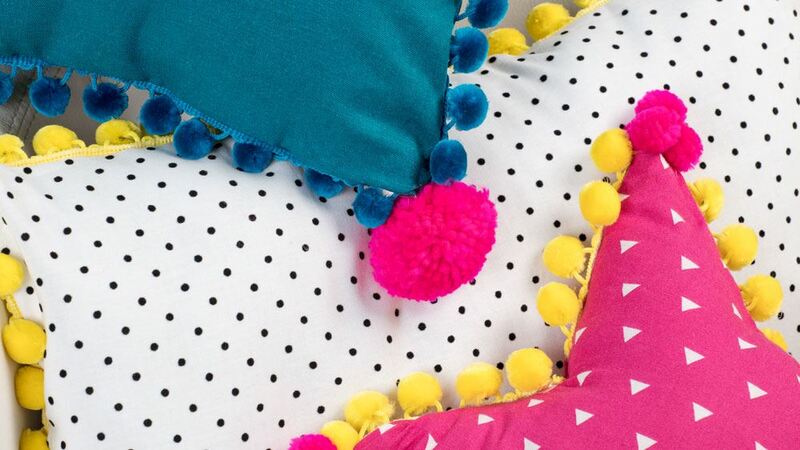 If you follow the trends, you know pom-poms are popping up everywhere! 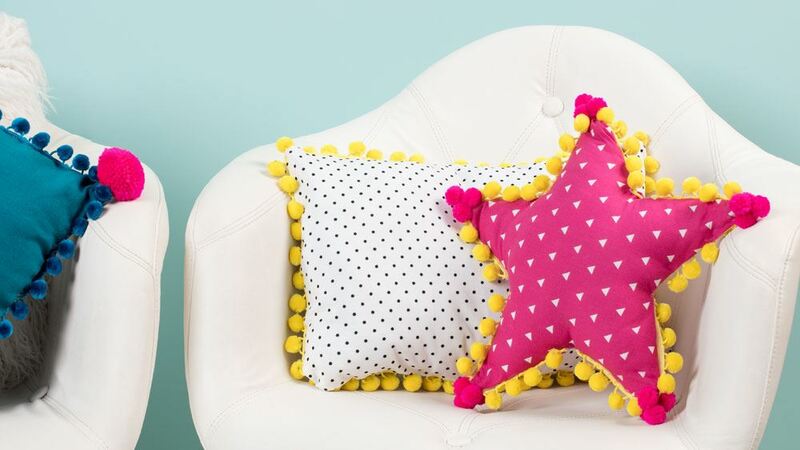 And you won’t believe how easy it is to make this super cute, no-sew pom-pom pillow! 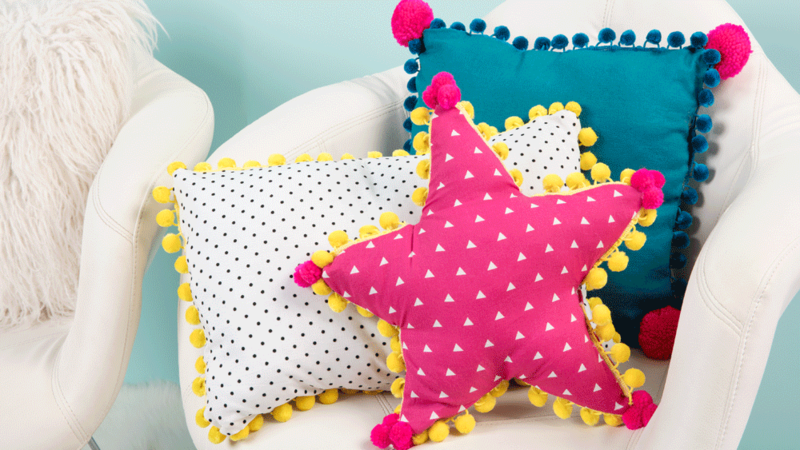 All you need is Aleene’s Fabric Fusion, fabric, a few craft supplies and, of course, pom-poms! 1. Cut fabric into desired pillow shape and size. 2. Place the fabric on a flat surface with right sides together. 3. Cut and measure pom-pom trim to fit the edges of the fabric. 4. 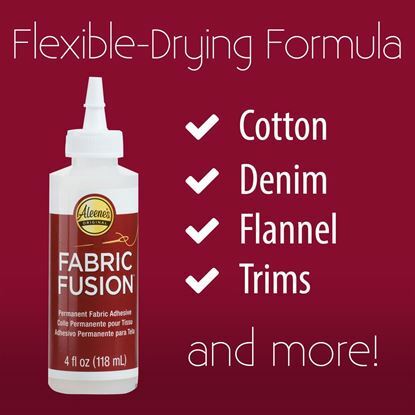 Use Fabric Fusion to add trim to all the edges of the right side of one of your cut pieces of fabric. Make sure the pom-poms are facing inward towards the right side of the fabric. 5. Use clothes pins to secure the trim to the fabric while it dries. Let dry. 6. Add glue to 3 sides of the trimmed fabric leaving one side without glue. That will be the edge used to stuff the pillow. 7. Place the other piece of fabric with the right side facing down to match the trimmed fabric. 8. Use clothespins to secure the trim to the fabric while it dries. Let dry. 9. Carefully cut slits in the corners. This allows for a nice clean corner. 10. Turn the pillow right side out and stuff with poly-fill. 11. Use Fabric Fusion to finish closing the open edge, and use clothespins to hold in place while it dries. 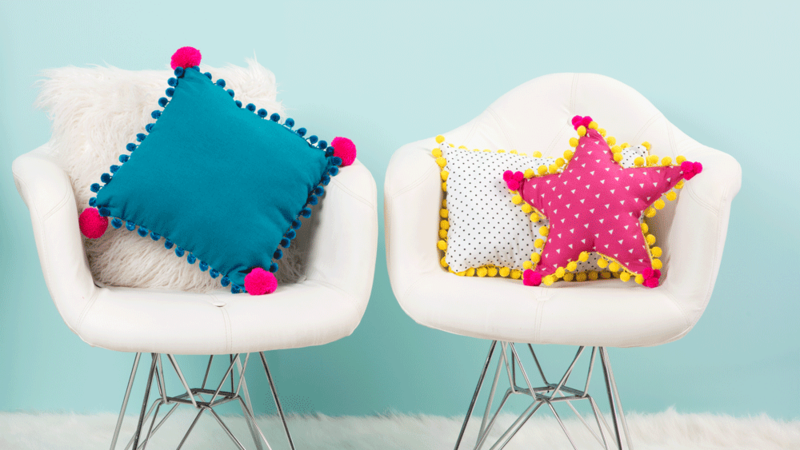 And there you have it… an adorable one-of-a-kind accent pillow! 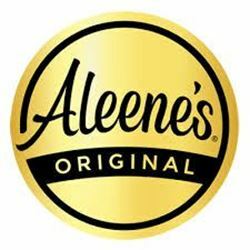 Aleene’s Fabric Fusion makes it easy to embellish pillows like these that look great on a bed, sofa or accent chair! DIY home décor never looked so good.